It takes a hunter to make a hunter, so start them early. 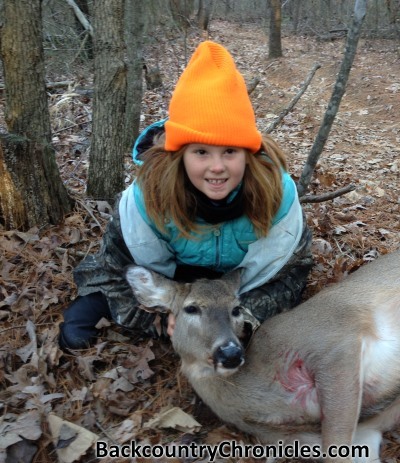 This is a companion piece to an earlier post about Women’s View of Hunting. Now that some of the women in your life hunt with you, it might help to understand why some women quit hunting. But since men quit hunting for the same basic reasons, this is a post about why people quit hunting. This matters because hunter recruitment and retention is important for the future of our hunting heritage as well as for wildlife management and conservation. Why anyone would quit any activity has to be a complicated subject and there are many reasons people quit hunting. A survey by Responsive Management for the U.S. Fish and Wildlife Service identified 25 reasons that people used to explain why they quit hunting. They have pulled the report from their website, so it is no longer available to download. Most of the reasons people gave for why they quit hunting were about personal priorities or were about things we can not control, but some are legitimate concerns that we need to address. The most common reason (40% of people that no longer hunt) given was the Lack of free time. Reasons like Family Obligations, Work Obligations and Lack of Interest followed with 35, 34 and 33 percent respectively. These top reasons people gave for quitting hunting are things almost everyone has to deal with. Who doesn’t have family or work obligations? I put these reasons in the “Low Priority” category because we find ways to do the things that are really important to us. They quit, so they must have found something else more important to them. Nothing wrong with having other priorities, but many people find ways to balance hunting with work and family obligations, especially if you hunt with family members. I am tempted to say there is nothing that can be done to retain these people as hunters, but if they had different experiences while hunting, perhaps hunting would be a higher priority for them. I put four of the 25 reasons given for quitting hunting into the Low Priority category and those individual percentages represent 46% of all reasons given (See Table 1). The next category I used was “is No Hunting Access or Game”. The individual reasons included: Not enough access, Not enough game, Not enough trophy game, Too many hunters and even a few people said it was because of Harassment by Non-hunters. The percentages given for these five individual reasons ranged from 1% – 17% and accounted for 18% of all reason given. Can we do anything about not having access or no game to hunt? In reality, these people need help, but there is not much we can do in the short term. You either live in a place with access and game or you don’t. The State could implement management to improve the game and land could be purchased so there were more public places to hunt, but the chances are low that big changes can be made in most of these states. Maybe these people could take better advantage of what game is available in their areas. The turkey population may be low, but squirrels could be booming. They may not have access to land to hunt deer, but could hunt waterfowl. There is always the option to travel to areas with access and game, but that takes more time and money. I call the next category “Need Information”. Reasons given in this category include: Fear of injury by another hunter, Feeling that hunting endangers animal populations and Fear of causing pain to animals. The percentages given for these three reasons ranged from 7% – 16% and accounted for 10% of all reason given. If you hunt with idiots, you need to get away from them, but the statistics show that the chances of getting injured while hunting is very low (lower than playing golf or bowling, but more about this later). It is also true that many species on this planet are Threatened or Endangered with extinction, but animals that have regulated hunting seasons are not among them (More about this later too). The Fear of causing pain to animals is a legitimate concern, but I will attempt to address this issue in a future post, because this is a concern we can do something about. I call the next category for reasons people quit hunting “Need Help”. Reasons include: “No one to hunt with”, “Poor behavior of other hunters” and “Not enough law enforcement officers”. The percentages given for these three reasons ranged from 6% – 11% and accounted for 9% of all reason given. I assume the bad behavior that caused people to stop hunting was from the people they hunted with or from nearby hunting parties. Common sense dictates that we walk away from bad, unsafe or illegal behavior, but as hunters, we also need to report illegal activities to the authorities. I don’t know what specific behaviors they witnessed, but if 14% of active hunters indicated that poor behavior of other hunters took away from their enjoyment of hunting and 11% of people cited poor behavior of other hunters as the reason they quit hunting, poor behavior of some hunters is definitely a problem and we all need to get involved. If reports were coming in, the State will get more law enforcement officers. If 14% of active hunters don’t like what other hunters are doing, imagine what non-hunters think. I mostly hunt mule deer and elk alone, but many types of hunting are usually done in groups. When my grandfather got too old to hunt, many of my cousins quit hunting because they lost didn’t have hunting dogs or permission to hunt that my grandfather had. Sooner or later, finding a hunting buddy will be a problem for most of us, especially after we get too old to hunt by ourselves. The next category is “Costs” which means they quit hunting because the costs of licenses, the cost of hunting equipment or having to travel to hunt. These reasons could also be considered priority issues, but since they used the term “Cost”, so did I. The percentages given for these three reasons ranged from 6% – 10% and accounted for 8% of all reason given. Just like people find the time to do what’s important to them, they also find the money. I assume if it were important enough, they would find a way. The cost for big-game non-resident hunting licenses can be over $1,000 and the cost to hunt on private land can cost over $10,000, but the costs of residential hunting licenses are not very expensive. 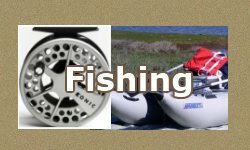 No doubt, you can spend lots of money on hunting equipment, but you can still hunt, take game and have a great time with very inexpensive equipment. Nobody can blame a young father for cutting his hunting expenses to pay for his kid’s braces, but we waste money on so many unnecessary things. 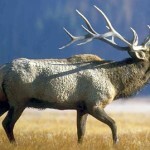 Read my post on a making a budget for a $1,000 DIY Western Elk hunt (here) and how I quit wasting money so I could do the things that were important to me. I call the last category “Facts of Life” and include issues of personal health and the negative opinions of others. The percentages given for these two reasons were 2% and 14% respectively and accounted for 5% of all reason given. Our personal health is more important and more valuable than anything else and the day will come for everyone when we are no longer able to do the things we love. Good nutrition, good sleep and exercise will keep some of us in the game longer, but much of this depends on good genes and plain good luck. We’ve all known people or heard stories about a 95 year old that still smoked or drank too much, but those are exceptions, not the rule. And how many 75 year old men do you know with a 40 inch waist. I don’t know any. As for the negative opinions of others, if this is the real reason they quit hunting, I suggest they either find new friends or do a better job of convincing their friends to hunt with them. “Care about what other people think and you will always be their prisoner” – Lao Tzu. But this is a real issue that plagues many people their entire lives. Hunting Regulations make up the last category of reason that people quit hunting and include: “Regulations are too complex”. Bag limits and/or season lengths are too limited and “Mandatory Hunter Safety”. The percentages given for these three reasons ranged from 3% – 5% and accounted for 4% of all reason given. No doubt, hunting regulations are complex, but that is the “nature of the beast”. The State and/or the Federal bureaucracies are in charge, so if you want to hunt legally, you have to learn the rules. I do think complex regulation keeps some people from taking up hunting and mandatory hunter education keeps some older folks that aren’t “grandfathered from hunting, but only 3% of ex-hunters gave this as the reason they quit. Since more than one reason could be given in the survey, most probably quit because of limited time and then added regulations as an additional factor. Most of the reasons people gave for why they no longer hunt were either about personal choices (46%) or things that are beyond our control like limited access, rising costs and complex regulations (30%), so there is little we can do to retain 76% of the people that quit hunting. But there might be something we can do for the remaining 24% who quit because they need better information or because they need help. Look for my next post to address those issues. I enjoyed reading your article. I gave up hunting (specifically deer hunting) yesterday. Cut up my license and tossed all the hunter orange. I’d fall into the category of “no access/ game”. The first deer I took was about 5 years ago and harvested 2 per years for the next 3 or so. Then I moved in town and rely on public land to which I’ve come up empty 4 years in a row! 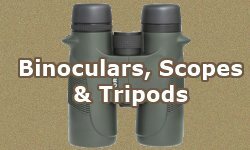 In addition, I don’t have many to hunt with and the one I do makes too much noise and doesn’t take the same odor eliminating precautions -and strongly believes there are no deer where we are despite hearing many shots all around us. I loved hunting and getting game but not worth it if I keep having all my tags year after year. Thanks for listening and hope this may help readers. Except when I take my wife hunting, I hunt alone, so I can’t relate to a noisy, stinky, pessimistic hunting buddy. Two people always make more noise and “stink” than one, but surely you could find a more optimistic partner. A 20% success rate means the average hunter harvests an animal every 5 years. 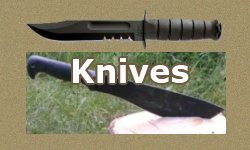 I hope you will still spend time sneaking around the outdoors even if you stop carrying a weapon. I’d love to go hunting, but can’t pay the cost for a lease. Seems like most leases I find want thousand of dollars. I can’t justify spending that kind of money on something that was put here for us to eat naturally. Places like King Ranch where people pay 10s of thousands of dollars are insane. Hunting has turned into a rich mans sport and us young people have a harder time in this economy. I hear you Scott. That is why I live in a state with lots of public land. Too many people too few places to hunt. We can’t blame people with money that buy leases and can’t blame land owners for selling them. We can blame our states for not providing hunting opportunities. 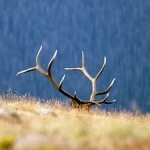 I suggest you consider hunting elk and mule deer in the West while you are still young and hunting is still good. Not sure what the economy has to do with hunting unless you mean your personal economy. 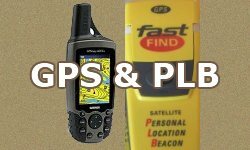 I published a budget (read here) to show folks it is possible for the average person to do a DIY puclic land hunt in the West. 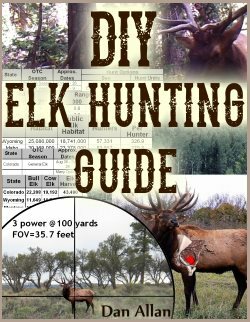 I also wrote a DIY Elk Hunting Guide to help first time public land hunters get started. I grew up hunting small game in Nebraska with my dad and grandpa in the 60’s. What you shot is what you ate for lunch or dinner. I still look at a squirrel as lunch. I have analyzed the tragic shrinking hunting situation in the US many times. Here are my thoughts on quick easy yet permanent solutions to the vast majority of hunting issues. #1 No more motorized vehicle or horse assess to public hunting land. If hunters had to walk to their favorite hunting spot there would be enough game for everyone on public land. No more ATV, UTV, or motorized electric bikes. No camping of any kind anywhere on public hunting lands. #2 Lifetime hunting license for federal and state land. The license money would go into a trust fund, the interest made would be set aside solely to purchase more adjoining land to current public lands. You make it larger and they will come, as in more game animals and more hunters. Public land sizes have not increased notably in decades. #3 Micromanaging hunting regulations drives some hunters away. If our government is allowed to continue to control the wildlife departments then what we will have is a continued reduction in hunters and hunting. #4 No more farming and no more oil drilling on public hunting lands. #5 Bow hunting ONLY for all federal and state hunting lands, furthermore legalize crossbows in all 50 states. Final note: I am 57 years old and have the standard aches and pains. I have to out walk and out work the other younger hunters and I do get regular shots at big game. Guys all we have to do is stop vehicle access on public hunting lands and systematically increase the size of public hunting land, (must be adjoining) every year. Stop blowing money on more game rangers and public hunting land road maintenance. Simply place concrete barriers cross roads and around designated parking areas for hunters. (Foot access ONLY) Hunting enthusiasm across our nation would improve dramatically! Happy Hunting!